All Star Driving School consistently provides the highest, most current driver education training available. To accomplish this goal, we utilize the best tools and the most up to date techniques available for driver education. Our driver education lessons are structured to engage any kind of learner. Having an All Star Driver Education provides for maximum retention of our curriculum, safe driving strategies, and safe driving interactions. All Star Driving is unique among its peers, as we offer a high level of flexibility for our students. At All Star Driving School, we tailor our schedules to meet the busy needs of our students. High school students lead very busy lives and are often involved in activities like work, band sports, or other activities. They need to be able to take drivers education training on their own schedule. Keeping those busy schedules in mind we now offer the classroom online. The students now have the option to participate in the lessons from anywhere and at any time by accessing the drivers education course online. If the students wish to participate in a more traditional classroom setting, we have developed a driver education program schedule that makes attending traditional Classroom convenient and extremely flexible without losing its overall effectiveness. The students can attend any class at any of our convenient driver education classroom locations. 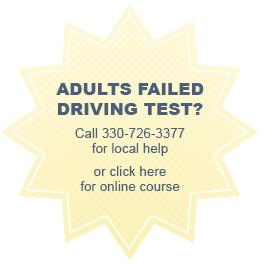 Ohio requires that anyone under 18 years of age take 24 hours of classroom drivers education training and complete 8 hours behind the wheel training. We want to make sure the student can do the course quickly and at their own pace. One of the benefits of our traditional and online driver education training options is that we provide detailed reports of each student’s progress. The reports detail just what skills the students have learned, which areas they excel at, and which areas need some improvement. The reports are a great tool for parents because it allows them to see how their child is progressing with their drivers education training. Moreover, our students learn backing skills that last beyond the feared maneuverability portion of the driving test. All Star Driving School students simply become more informed and prepared drivers. During inclement weather be sure to check our Facebook page for any class or driving cancellations - Thank you!